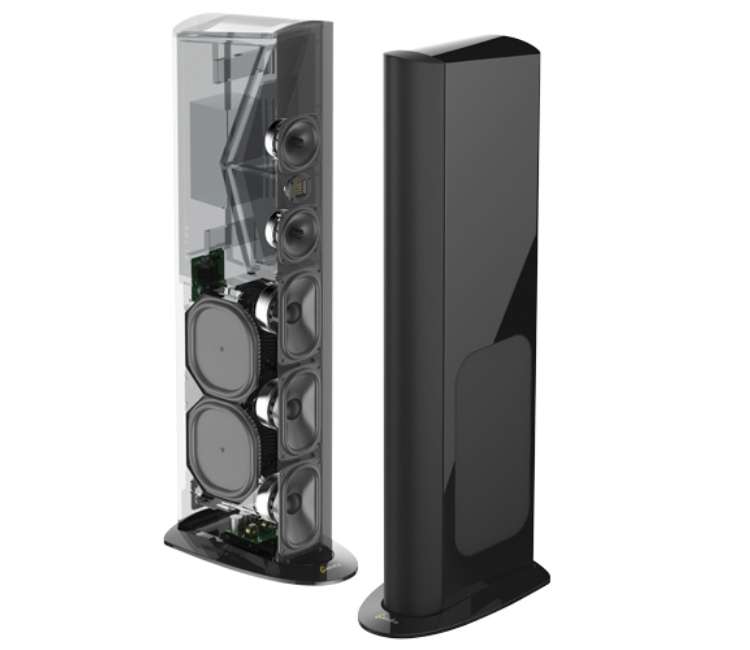 GoldenEar has boldly, proudly produced their newest accomplishment, the Triton Reference, or T-Ref as Co-Founder Sandy Gross has fondly nicknamed his latest and greatest floorstanding speaker. American Hi-Fi to HEAR and SEE the T-Ref! Sonically, the Reference has been engineered to perform with a dramatic and authoritative voice, comparable to speakers that sell for 10 and more times its surprisingly affordable price. They completely disappear, with superb three-dimensional imaging that stretches from wall to wall and beyond, and depth that makes the wall behind them seem to vanish. The astonishing bass is rock-solid with low-frequency performance that is tight, quick, highly impactful and musical with extension flat to 20Hz and below. Another GoldenEar signature is a silky smooth high end that extends to 35 kHz with a lifelike sheen but no trace of hardness, sibilance or stridency so common with lesser tweeters. Tremendous time and energy has been put into the voicing of the speaker and the seamless blending of the drivers, for unmatched musicality with all types of music, and home theater perfection. Rarely do speakers excel at both, but with their world-class neutrality, the Reference absolutely does. This is how music should sound in your home.